The ALATEC Corporate Care Fund, administered by the Community Foundation of Huntsville/Madison County, is a special charitable fund which allows employees of ALATEC to apply for grants during periods of extreme financial hardship brought on by natural disaster, death, serious or life-threatening illness or injury, or other crisis. This new fund allows tax-deductible donations to be made by the Company or its employees to create funds available to ALATEC employees who suffer an unexpected tragedy. ALATEC employees who have been impacted by one of the eligible incidents can apply directly to the Community Foundation for assistance. An independent committee reviews the grant applications and makes awards based on the criteria defined by the Company when the fund was created. 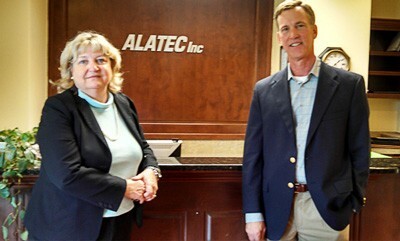 ALATEC, Inc. is a Service Disabled Veteran Owned Small Business and also an Employee Stock Ownership Plan (ESOP) company founded in 2001 and primarily focused on Federal Government service contracts. Since our founding in 2009, the Community Foundation has raised or managed over $13,000,000 for charitable causes and has distributed, on behalf of our donors, over $3,000,000 to local, regional, and national nonprofit organizations. For more information about the Community Foundation, the Corporate Care Fund or other corporate giving programs available, contact Stuart Obermann at 256.535.2065 or stuart@communityfoundationhsv.org. on Thursday, 05 June 2014.